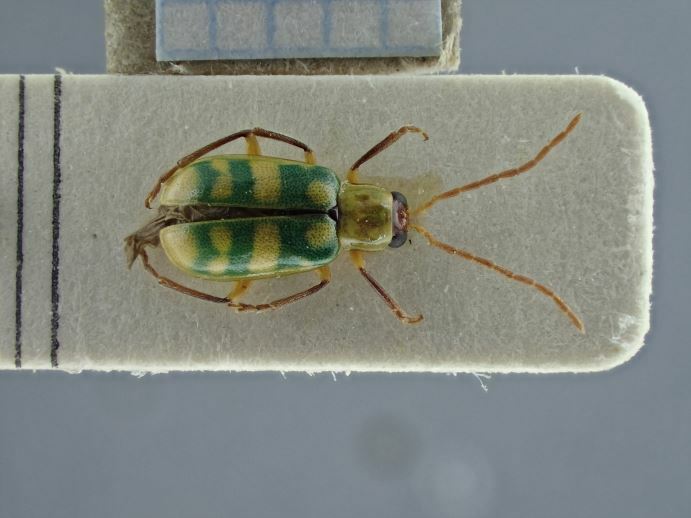 Since 2016, BINCO has been collaborating with the Royal Belgian Institute of Natural Sciences (RBINS) to assist in the digitization of insect collections. 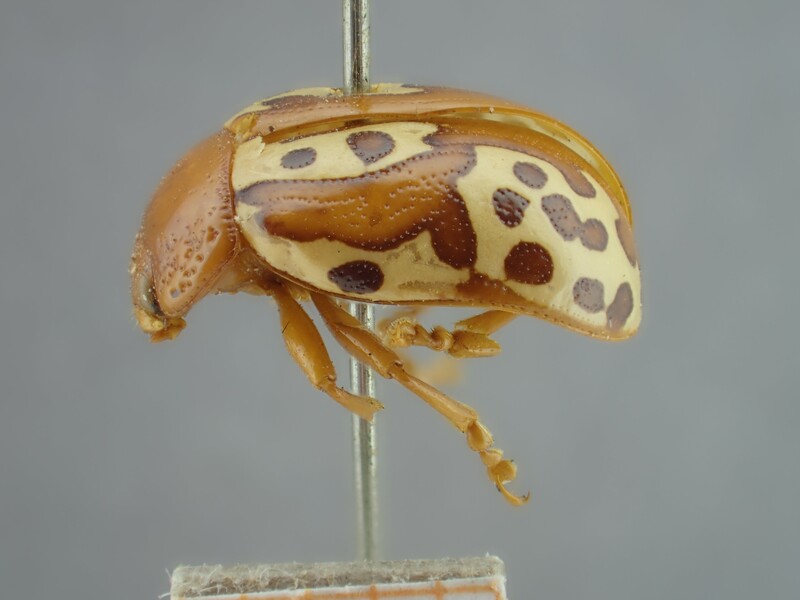 Specifically, we are involved in digitizing the leaf beetles (Coleoptera – Chrysomelidae), a diverse and understudied family of beetles with diverse morphology. Leaf beetles have strong host-plant relationships and are of economic importance in many regions worldwide. 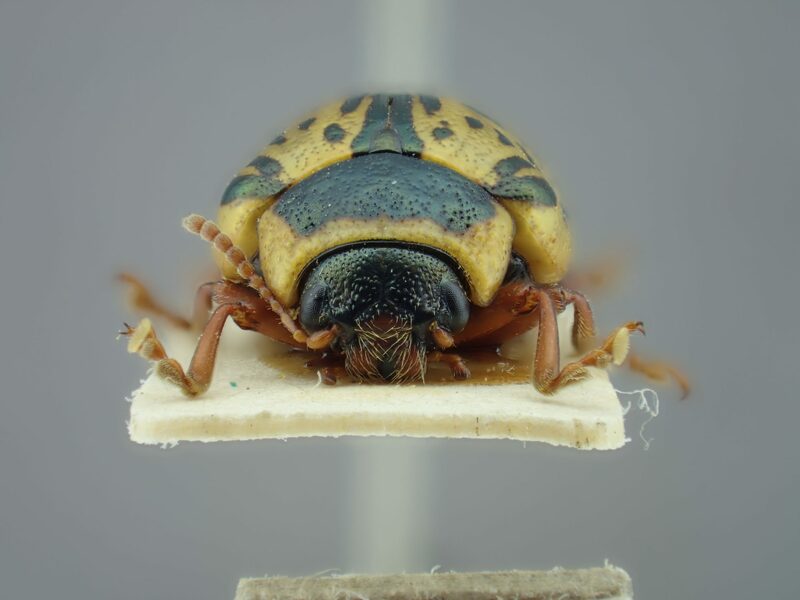 The Chrysomelid ID project consists of several smaller projects that focus on a small well defined set of leaf beetles in the collection that can be digitized in a relatively short period of time and the information published. BINCO developed its own digitization method to reduce cost and processing time. All these projects are only possible due to the dedication and enthusiasm of our volunteers. Are you interested in working with us on our digitization project? Don’t hesitate to send a message to martijnvanroie@hotmail.com. A method for digitization was developed to meet two main requirements: low cost and quick processing. These aims were met by using a compact camera with focus stacking functionality in combination with a simple light box. We compared our method to that of the professional RBINS digitization setup by testing photo quality, cost and processing time. Results showed our method is a good alternative to the expensive museum setup and achieved similar results, although important specimens such as type specimens would still benefit from being photographed with a professional setup. At the moment, two of our camera setups are operational in the RBINS. 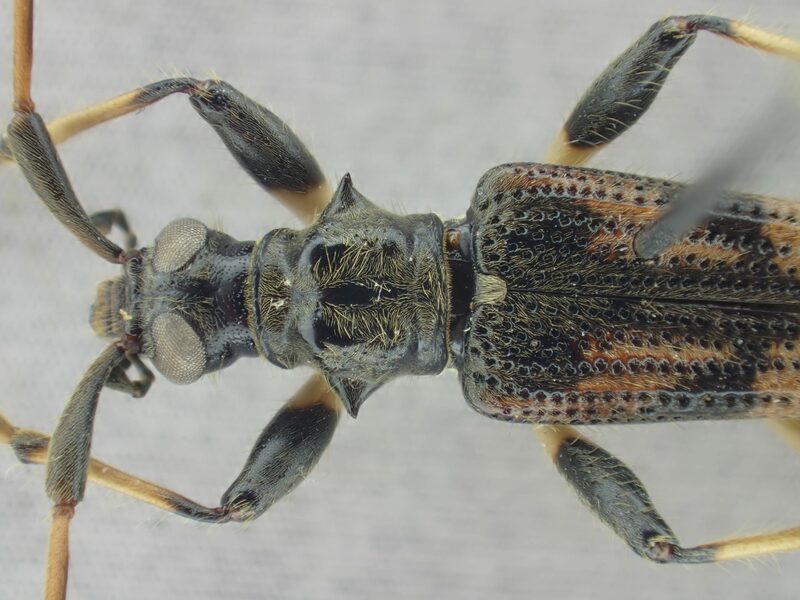 The results were presented at a symposium organized by the Belgian Entomological Society in November 2017. The presentation slides are available here. Publication: Mertens J.E.J., Van Roie M., Merckx J., Dekoninck W. 2017. 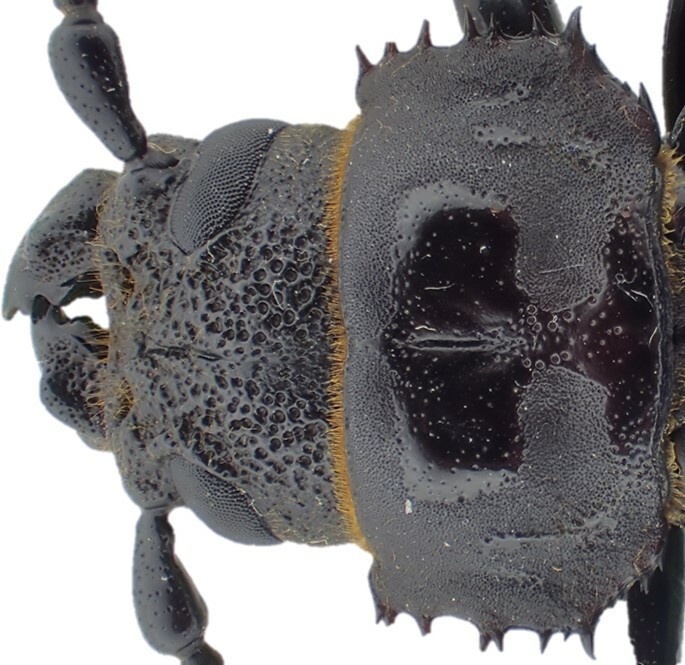 The use of low cost compact cameras with focus stacking functionality in entomological digitization projects. Zookeys 712: 141–154. 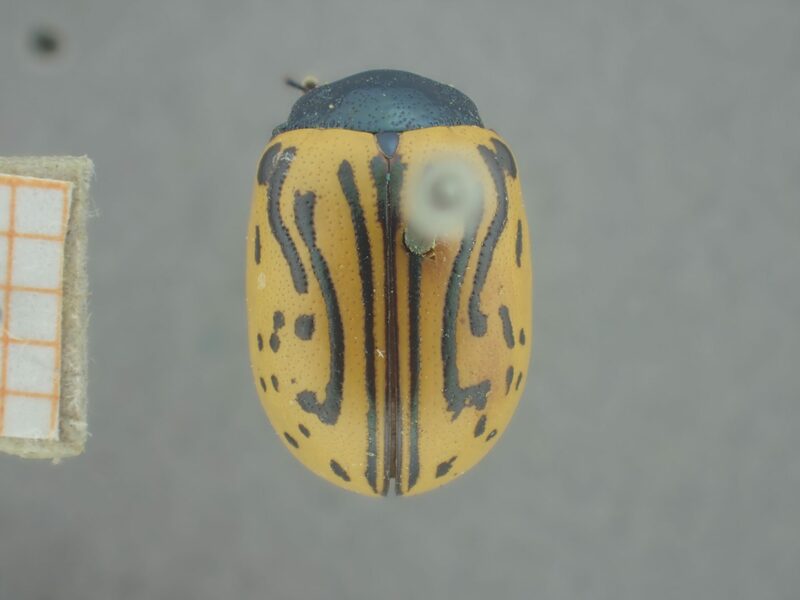 A pilot study was set up to test our digitization method by digitizing one specific genus: Calligrapha (Coleoptera – Chrysomelidae). Most species within this genus can be identified by the markings on their elytra, which made it possible for Dr. Gomèz-Zurita to identify all specimens based on photographic material alone. 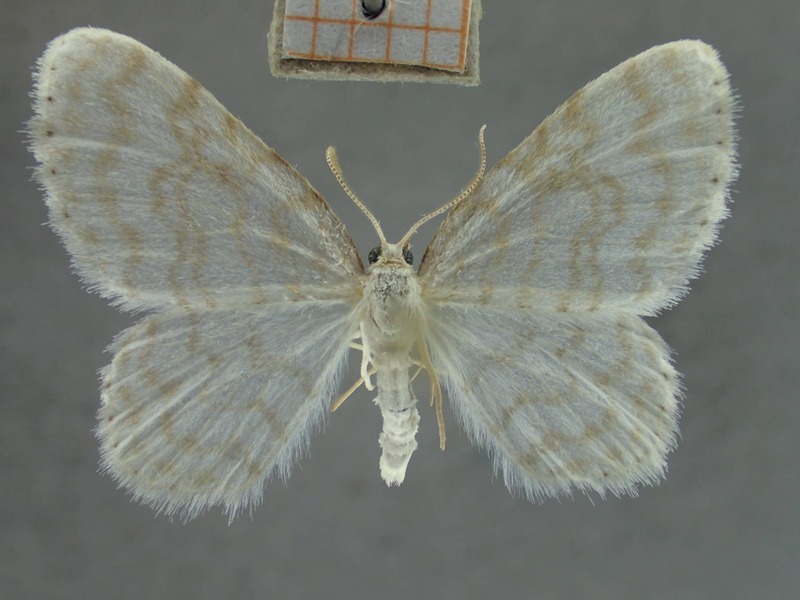 This allowed for more efficient and correct sorting of the museum specimens and showed how our method could also improve collaboration with experts abroad by reducing costs and the ability to plan taxonomic research more. Publication: Merckx J., Van Roie M., Gomèz-Zurita J., Dekoninc, W. 2018. 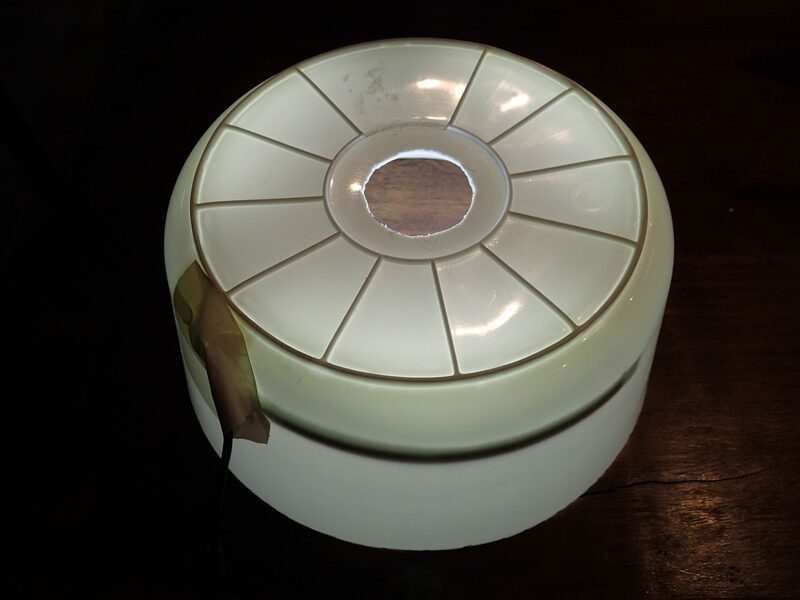 From theory to practice: using a photographic inventory of museum collections to facilitate species identifications. Biodiversity Informatics 13: 38–48. 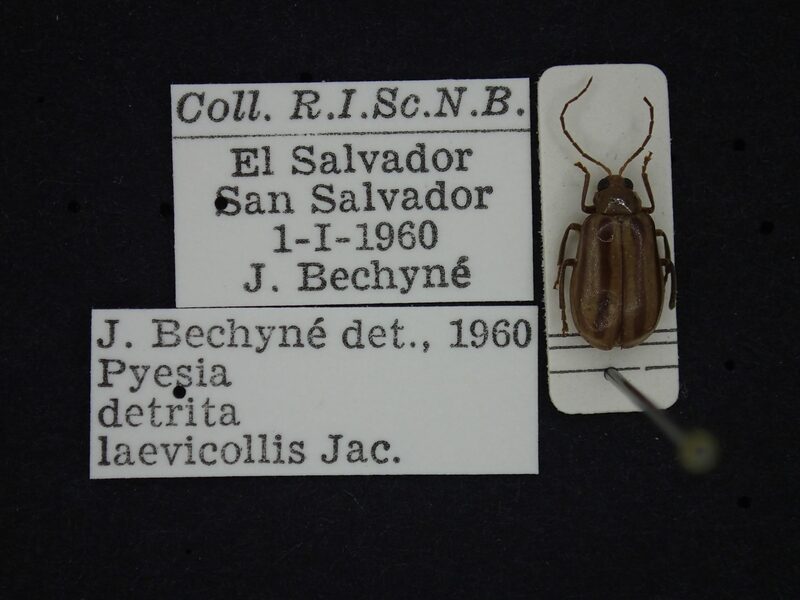 The RBINS collection includes leaf beetle specimens from El Salvador which were identified by J. Bechyné. 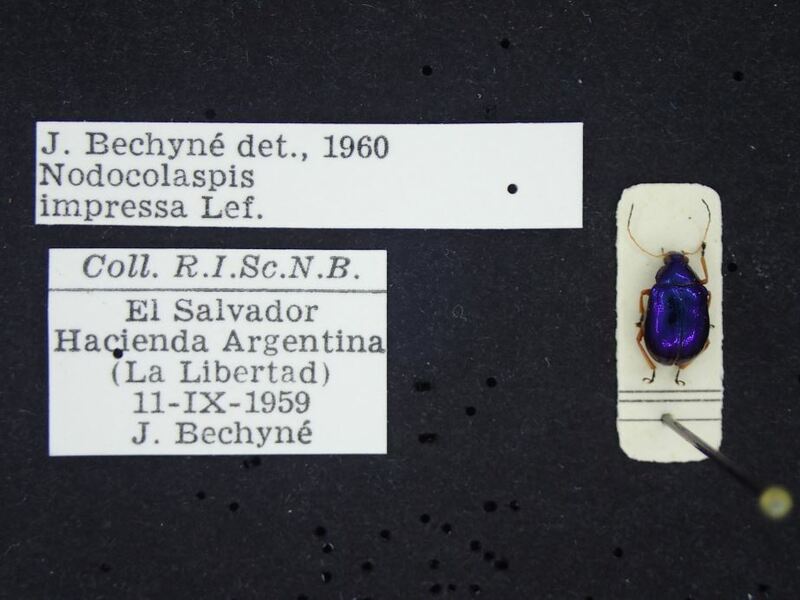 As an expert in entomology, Bechyné studied numerous (Neotropical) Chrysomelidae between 1942 and 1978. 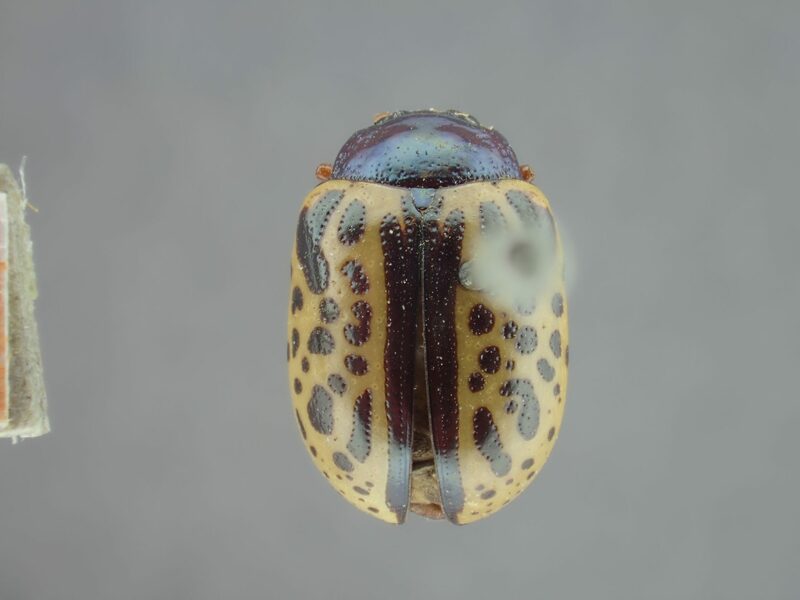 This valuable reference collection will help compile a preliminary checklist of El Salvador’s Chrysomelidae, a poorly known species group in the region. While most of the specimen in the RBINS are deposited in the collections, additional unsorted material from expeditions is available in supplementary collections. 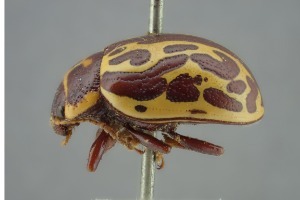 The RBINS contains a large quantity of unidentified leaf beetles in the supplementary collections, possibly with some species new to science. 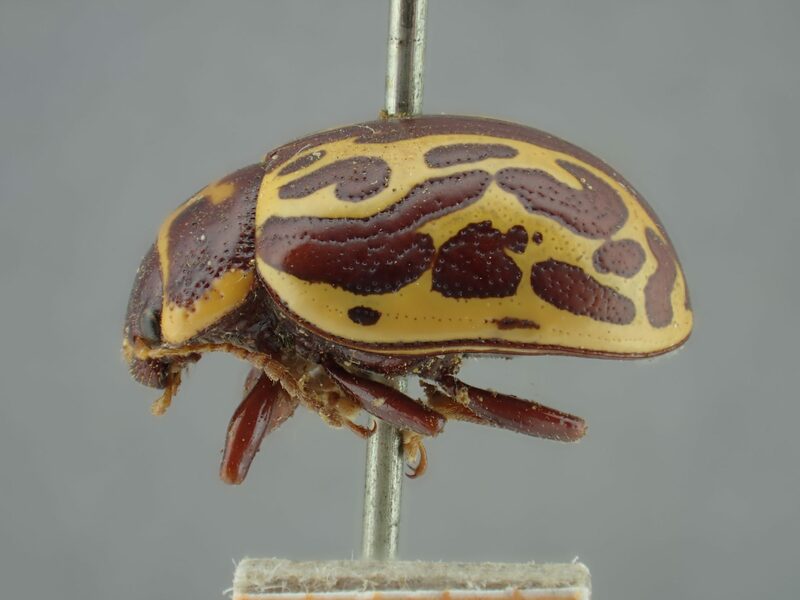 For this project we look through parts of the supplementary collections for tortoise beetles (Cassidinae), a subfamily of leaf beetles. 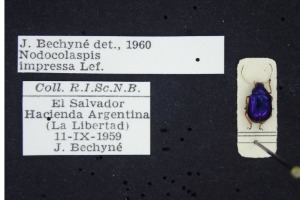 Specimens will be identified with Lukas Sekerka, an expert on this subfamily, and incorporated in the collections. 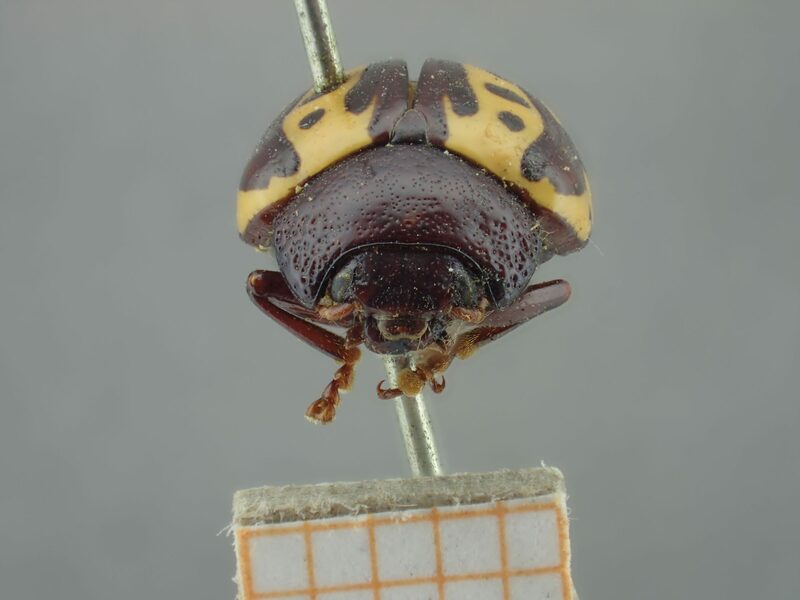 This study will generate additional information on the distribution of tortoise beetles and will make this part of the collection accessible to third parties. This project is ongoing, so more information will be coming soon. A type specimen is the reference voucher for a species. Type material plays a crucial role in the identifications of species and description of new species. Many species were described a long time ago and the location of type specimens is not always clear. 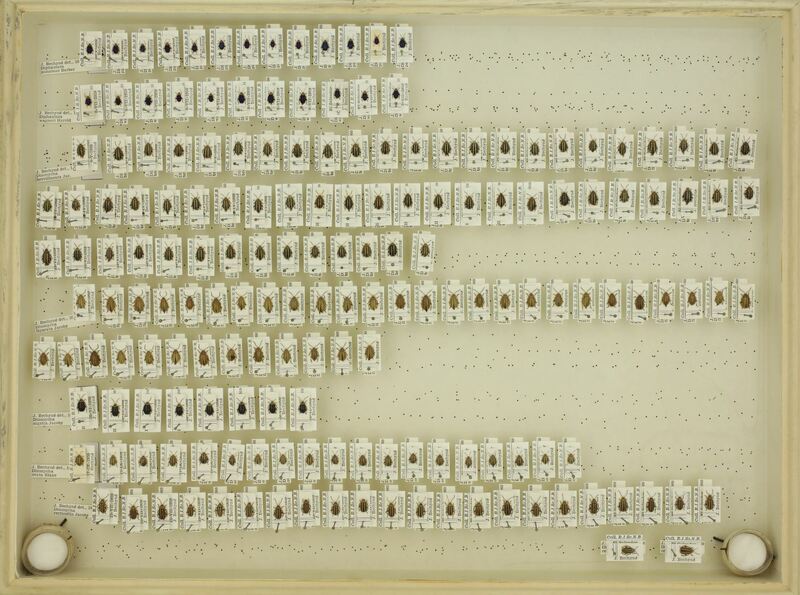 The RBINS collections house hundreds of type specimens of leaf beetles, but a clear overview is lacking. 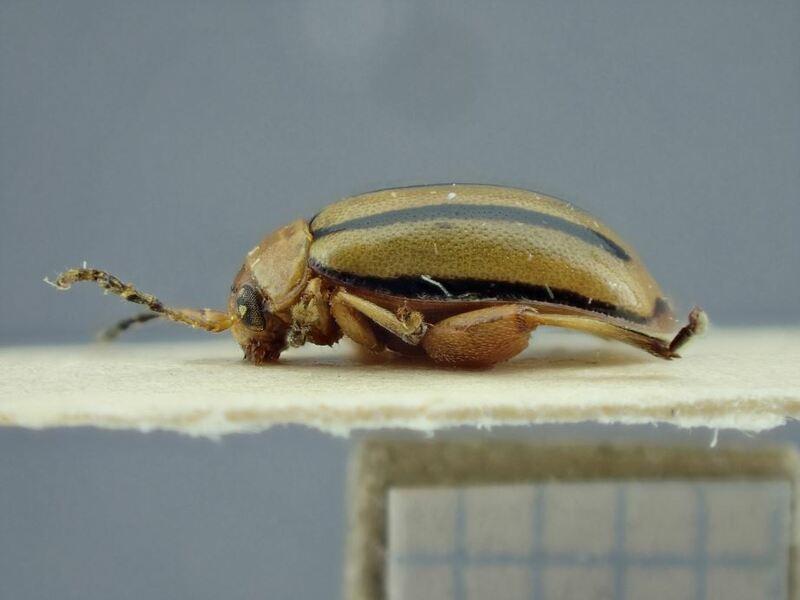 In this project we will catalogue, validate and photograph the leaf beetles type material in the RBINS collections. This overview will be an important contribution to the study of this fascinating group.